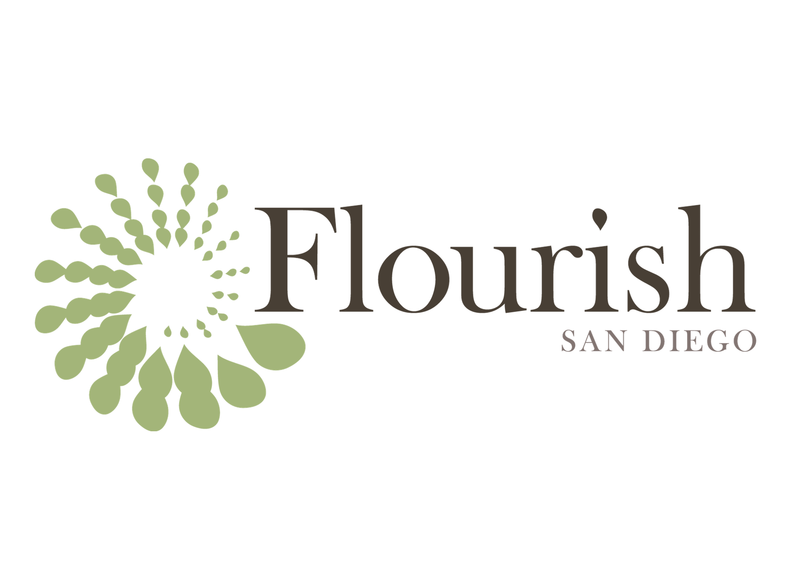 Why Does Flourish San Diego Exist? Why does Flourish San Diego exist? What do we hope to accomplish? In this post, I simply want to lay out as clearly as I can why we do what we do. Before I say anything else about Flourish San Diego, I have to begin by saying that the reason we do what we do comes down to the fact that God loves people. God loves the whole world more than we could ever imagine—and He really loves people. So much so, that Jesus, the Son of God, gave his life so we could be reconciled to God and live the kind of life we were meant to live—eternal and abundant. We believe that we are more sinful than we realize and more loved by God than we could ever imagine. We believe that God longs to be in deep, intimate relationship with every human being. And we believe that as we surrender ourselves to the love of Jesus we can be transformed into the people we were created to be—people who have been made whole and who, because of the love they have experienced, participate with God to bring healing and wholeness into the world. We call this the Gospel and everything we do flows from this. Flourishing a city means joining God to help that city become all that God intends for it to be. In the beginning, God had created a world of shalom. Shalom is the Hebrew word for “peace,” but it means so much more than mere absence of hostility. Shalom refers to a comprehensive sense of well-being that touches every aspect of life. Do you know why we love movies and books with happy endings? I would argue it’s because a happy ending reminds us of the restored shalom that we long for. Do you know why we love playing sports or going to the beach or listening to beautiful music? Because the delight they inspire in us is an experience of shalom. Do you know why we love hearing stories about people who are making a difference for those who are suffering? Because they are stories of shalom; stories of the restoration of well-being for those who have been without well-being. But we don’t live in a world of perfect shalom, do we? We live in a world of broken shalom. A world of broken relationships. A world of physical and emotional unhealth. A world of poverty and injustice. A world in which neighbors argue over noise levels and yard decorations. A world in which people steal and kill and exploit one another. A world in which people are living their lives disconnected from their Creator. So when we say we want to flourish San Diego, we’re saying we want to participate with God to restore shalom. We want people in San Diego (and beyond, of course) to flourish by living lives of shalom in every aspect of their lives. How can shalom be restored in such a broken world? We believe that God wants to restore shalom in the world through his people—you and me! We also believe that God has wired each person in a totally unique way to nurture shalom in the world. Unfortunately, churches tend to focus on only one of these callings—the calling to be good church members. As a result, I created a divide in peoples’ minds between the “spiritual” stuff that happened only at church and the “secular” stuff they did the rest of the week. But for God, there is no division between the “sacred” stuff they do at church and the “secular” stuff they do at work. For God, their work is a sacred calling! It is by means of their work—their calling, their vocation—that people join God to restore shalom in the world. Teachers bring shalom into the lives of students by expanding their knowledge and inspiring the quest for more knowledge that can lead to the blessing of many. Attorneys and judges bring shalom into the world by working for justice. Electricians provide shalom by helping us keep our food refrigerated and our homes cool in the summer and warm in the winter. Can you imagine what would happen if people began to understand their work (paid or unpaid) as a sacred calling from God? Can you imagine the sense of purpose people would have with such an understanding? And can you imagine how that understanding might affect a person’s relationship with God? Suddenly, God is no longer there only when we’re doing church stuff; now God is there all the time! Can you imagine what would happen in our cities (whichever city you live in) if God’s people fully lived out their God-given callings, recognizing that their work is the way in which they bring healing and wholeness into the world? This is what we long for and what we work toward at Flourish San Diego—to help all God’s people live into the fullness of their God-given callings for the sake of the world’s healing. I want you to know that your work is also a sacred calling. Whatever you do–whether you love your work or not–know that your work matters to God. The work you do in your job, as a parent or grandparent, as a little league coach, in your retirement–it all has eternal significance because it all is God’s way of bringing shalom into the world. Thank you for the good work that you do! Move beyond a self-preservation mentality in which the only kind of work and service that is valued is the kind that people do through church programs and initiatives. Affirm and celebrate the sacred callings of their people. Inspire their people to use their “vocational power” (skills, abilities, influence, networks, resources, etc.) to bring flourishing to those around them in ways that extend beyond their 9-5 work. Help their people live into an all-of-life relationship with Jesus. Support and partner with the ways their people are already bringing flourishing into their city. It is as all God’s people live into their sacred callings that they join God to flourish San Diego. The Flourish Academy, a year-long learning community pastors and church leaders to help them discover the ways God has gifted their congregation to flourish their city. The Flourish Collective, a growing network of churches who are learning to flourish their city through the vocational power of their congregations. The Flourish Greenhouse, a unique co-working space that brings together people of good will in San Diego to seek the common good through their good work. God is at work through the work of Flourish San Diego and we look forward to the many ways God will work through all God’s people to bring healing and wholeness, restoration and shalom, not only to this city, but to the whole world!